The Cardiac Diagnostic Clinic we have a lot to offer our patients, other physicians and the community. Since our opening a little over 4 years ago our clinic has continued to expand to offer many on site features to make access to testing easier for our patients. On site access to diagnostic testing can allow for faster test results. It is our goal to provide the best quality of care to every person that walks through our door. Whether you have been with us for years or are newly referred to the office we want your experience to be pleasant while remaining efficient. Our clinic is run by our Internist, Dr. M. Goodarzi. Whether you are coming to the clinic for follow-up continued care or for an initial consultation, Dr. Goodarzi will utilize all of the tools the clinic has to offer to make sure you are given the highest quality care. Testing may include electrocardiograms, echocardiograms, stress testing, holter monitoring and blood pressure monitoring. All of these tests are offered onsite to minimize any negative impact on our patients and to allow our physician immediate access to test results. 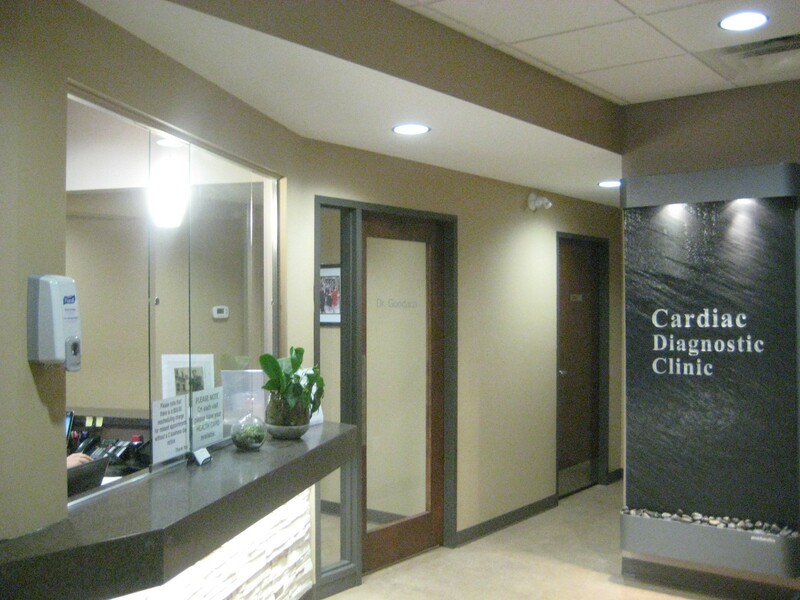 Our clinic is located on Main Street in Niagara Falls and is 2 blocks from the Greater Niagara General Hospital. Completely renovated upon opening, our clinic offers a clean calm atmosphere for all of our patients and is fully equipped for any patients with disabilities or that need assistance. Our staff are knowledgeable and friendly and will help answer any questions to make your appointments as stress free as possible. Naturally they are limited by confidentiality but they will do all they can to help all of our patients. Our clinic offers out patient diagnostic testing. This gives family physicians throughout our community an additional option when referring their patients for testing. If you have any questions regarding appointments at our clinic or testing you have been referred for we encourage you to contact our clinic at 289-296-6880. We will be more than happy to help answer your questions as promptly as possible. If you need to reschedule an appointment please call us as soon as possible so we can reschedule at your convenience while still delivery optimal and prompt care. It is important to remember that we are not a walk in clinic and we do require a referral to be seen at our office. Please discuss with your family physician, a walk in clinic physician or the physician in the ER if you require a referral to our office. Once referred we will contact you and schedule an appointment at the earliest convenience. At the Cardiac Diagnostic Clinic we will offer high quality care to every patient we see. Contact us for more information. We will be more than happy to help in any way we can.